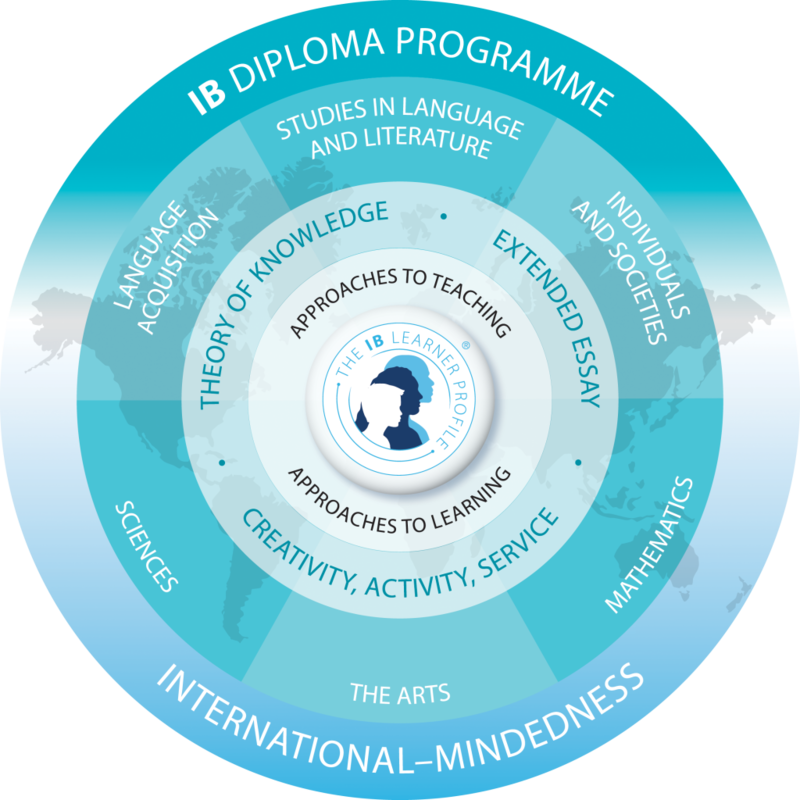 The IB DP curriculum is made up of six subject groups together with a core made up of three separate elements. Students can select to study an additional language, individuals and societies, or sciences course, instead of a course in the arts. Theory of knowledge (TOK), in which students reflect on the nature of knowledge and on how we know what we claim to know. TOK engages students in critical thinking and exploration of the nature of knowledge across disciplines encouraging an appreciation of other cultural perspectives. Creativity, activity, service (CAS), in which students complete a project related to those three concepts. CAS encourages students to be involved in artistic pursuits, sports and community service work as well as fosters students’ awareness and appreciation of life outside the academic context. The Extended Essay (EE), which is an independent, scholarly and self-directed piece of research, finishing with a 4,000-word paper. All three elements of the DP core are compulsory and are central to the philosophy of the diploma program.